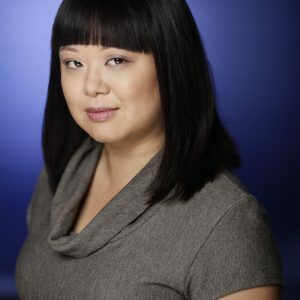 Based in Toronto, Marjorie Chan is a multidisciplinary theatre artist, working as writer, director, and performer. Her works as a writer have ranged from plays about Chinese history to libretti for opera, to site specific text. She has been artist-in-residence with Cahoots Theatre, Theatre Direct, Tapestry Opera, Theatre du Pif (Hong Kong), NYU - Geneseo (New York) and most recently at the Banff Playwrights' Colony. Her awards include 3 Doras, the K. M. Hunter Award and the Harold Award. She is currently Artistic Director of Cahoots Theatre and Artist-in-Residence at the Factory Theatre.